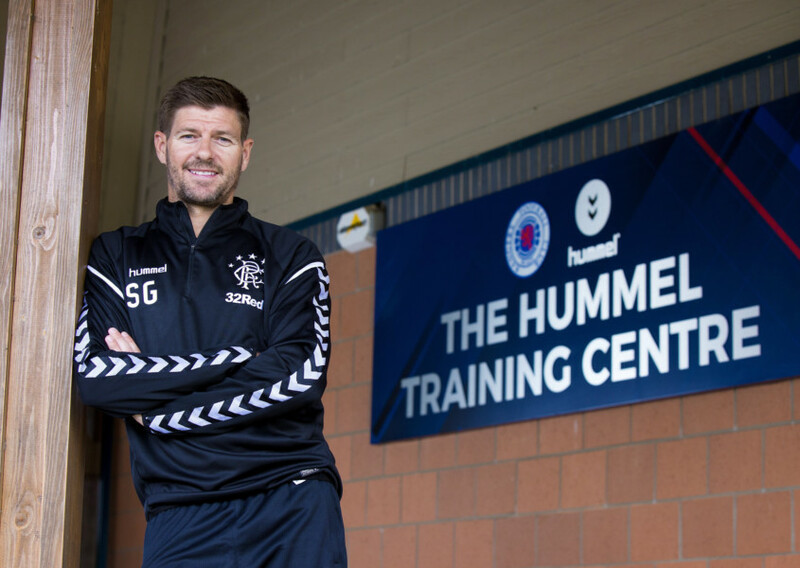 Ibrox Noise: Why does the diamond not work for Stevie? Why does the diamond not work for Stevie? As we discussed earlier, Steven Gerrard may finally have conceded some slight ground on his fixation with the diamond 4-4-2. By admitting his team played noticeably better after he went flat bank four in the middle, it was a subtle hint that he may be accepting the diamond is just a mess. But why? Why is it the diamond setup is so bad when Rangers have about 400 midfielders they can deploy in it? First of all the diamond midfield depends almost entirely on the fullbacks providing the width. On both defensive flankers bombing up and down overlapping and cutting inside. Why? Because it’s a midfield without a single winger – the only two players on the pitch who can supply the wide runs are the fullbacks. That intrinsically limits the options and versatility available to the manager. Secondly the diamond mainly began life 20 years ago when AC Milan boss Carlos Ancelotti wanted to use both Rui Costa and Andrea Pirlo – the problem was they were the same kind of player, a ‘trequartista’ – Pirlo had been signed from city rivals Inter and had always played advanced in the ‘Kaka’ role, but Ancelotti couldn’t have both players doing that. So instead he came up with a new position for Pirlo, the ‘regista’ or ‘deep lying playmaker’. The former attacking midfielder was now playing in the defensive midfield position, but instead of protecting the backline his job was to find runners ahead and wide – and supply the attack. Rui Costa remained behind the forwards and Pirlo now sat much deeper using vision, skill and deft feet to retain possession and finding space where other players wouldn’t in that slot. *phew* - our point? We don’t have a single player we could possibly put into the holding Pirlo position apart from one at a stretch – Graham Dorrans. It is possible he could fit into that role, but we don’t want to rely on that. Now, you’re thinking ‘why do you need a Pirlo type player anyway, what’s wrong with Ryan Jack?’. Well, nothing, Jack is a magnificent defensive midfielder who’s also adding goals and some occasional attacking to his game too. But a visionary passer and playmaker he isn’t, and the diamond midfield is a critically attacking formation – it depends on efficient possession, counter attacks and general drive drive drive. This is not something Rangers are adept at right now, so playing that formation isn’t going to bear a lot of fruit in the long run. Thirdly (yes, we were still only on two) is the ‘Rui Costa’ we alluded to. The number 10 behind the strikers who can lock pick – again, the Graham Dorrans kind of attacking midfielder who can thread through defensive needle eyes – Gerrard has put Ryan Kent in that position, and while many could argue he has the pace of the great Kaka, he doesn’t have the vision of him. Kent is marvellous on the ball and superb at feeding others wide, but not so good at finding runners ahead – he is in his element running at pace through midfield and bursting into the box himself – but finding that killer pass is not as frequently part of his repertoire. Indeed, Stevie eventually, again, realised Kent wasn’t able to get the best from himself centrally and the winger found himself drifting wide left more as the match advanced, and that was how he managed to thrive. Instead, Steven Davis took over and occupied the 10 role more as time wore on and clearly struggled with it – Davis is essentially a forward-thinking central midfield player and not especially visionary. So, in conclusion – why does the diamond not work for Rangers? We don’t have the players for it – crucially the holding mid and the attacking mid. It’s the old lesson we used to talk about Mark Warburton on – it’s all very well loving your 4-3-3 and obsessively deploying it, but you need the players for it. You have to configure your system for the players you have, rather than shoehorning the wrong players into a formation you personally prefer. 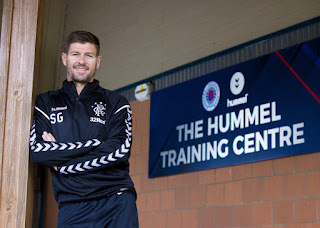 If Steven Gerrard wanted to play a diamond midfield he had to sign the players in January for it. He didn’t. Hopefully now he’s opening up to the idea of permanently axing the system. Agree with article on diamond. Main thing I'm struggling with is how to accommodate Defoe/Morelos/Kent in the same team. 4-4-2, with 3 central mids (McCrorie, Davis, Jack) and Kent in a floating free role (like Walter used in 90's with Laudrup et al) might work? The Players aren't good enough to play the way SG wants them to. I knew it wasn't working, now i know why! Good article chaps. I must admit I like the diamond system as it's quite a fluid system but agree that we might not have the players to do it properly, or the time to fine tune it. Where I do disagree with IN is in the first point about the full backs. Tavernier and a Barasic are custom made for that attacking wing back position. Maybe Dorrans could fill one of the two key midfield positions and I wouldn't rule out Davis for the defensive position. Maybe you’ve missed our point slightly there Rob? We don’t disagree with your assessment of Barisic and Tav, but the article is highlighting that the full backs are ALL the width we have in this system. We’re not sure what point you’re asking/making here?